site are still under construction - thank you for your patience. annual dog licensing and rabies vaccination canvas in our area. They select random areas throughout the county and knock on doors. They will be in full uniform and in a state truck that are marked with dog warden on them. request to see a current dog license and rabies vaccination. If nobody answers the door they will leave information on your door. Have you just recently moved to East Nottingham and are looking for a way to get to know the community and the people? East Nottingham Township can help you settle in and introduce you to the neighborhood. If you are new to the neighborhood, we can help you in familiarizing yourself with the important contact details that you would need in case of emergencies. We can also help you with zoning approval and permits in East Nottingham Township. Our team will be more than happy to provide you with the forms and other information that you need to secure an approval. At East Nottingham Township, we always make sure that we put our constituents' welfare first. We do listen to comments and feedback from our members. Based on this, we create ordinances that will greatly benefit the people we serve. As a way to assist our community, we also post announcements on our website. Either as an awareness of a project that we have started within the community or an event organized by our constituents. The East Nottingham Township Historic Commission meets at 7:00 on the fourth Tuesday each month. Meetings are held at the township building and are open to the public. Our purpose is to gather information about historic sites in the township. Anyone who has information to share with the commission may contact us through the township secretary. The Board authorized the expenditure of $18,675.00 to Longs Asphalt for the construction of speed calming devices also known as speed humps on Wickersham Road in the area of the Elk Ridge School. This resulted after Township residents expressed a concern about the safety of school children on the road in the vicinity of the school. The speed humps are scheduled to be constructed before school starts in September. Looking to dispose of a large household item? Recycle your item and help us build affordable housing in Chester County! If you have a large item or items (furniture, appliances, cabinets and more) that are in good condition or working order, please contact Habitat for Humanity of Chester County to arrange a pick-up. (Items can be picked up from the first floor or garage level of your home.) Visit www.hfhcc.org or call 610-466-1890 for more information or to schedule a pick-up. Donated items will be sold in one of our ReStores. Proceeds from the ReStores help us to build affordable housing throughout Chester County. PECO will be construction a 34KV line extension in Southern Chester County to increase capacity and improve reliability for the area. As part of the project, we are adding additional remote sectionalizing capabilities. The cost of this project is $5 .96M. We will be constructing a total of 8 miles of pole line, upgrading approximately 7 miles and constructing approximately 1 mile of new facilities. This will include approximately 100,000 ft. of new conductor, 90 new distribution transformers and 200 new PECO poles. Verizon will be replacing approximately 50 poles in support of this project. This work starts in West Nottingham Township at Christine Rd and Stoney Lane, runs along Christine Rd to Chrome Rd into East Nottingham Township. The project continues along Chrome Rd (becomes State Rd) into Elk township ending at State Rd and Lewisville Rd (route 472). Tree trimming will be done as needed along this route. PECO will work with the customers to address trimming needs/concerns. Contract crews and PECO crews will be performing this work. Contractors will be starting construction in early July, 2014 and will be working on this project in this area until the Spring of 2015. They will be working out of a fenced construction area outside of PECO’s Nottingham substation. We are starting construction in West Nottingham Township at Christine Rd. and Stoney Lane. Poles will start to be spot delivered along the road and material will start to be delivered to our work area in June for this first stage of construction. For EMERGENCY PURPOSES ONLY, Township residents may call the Road Master, Bill Weaver, at 484-576-9131 for emergencies only, PLEASE! Road information for East Nottingham Township residents the roads listed below are state maintained roads within East Nottingham Township boundaries. Should a problem arise that Penn DOT needs to be made aware of, the number to call is 610-436-1900. All other roads within East Nottingham are maintained by the roadmaster and roadcrew for East Nottingham township. 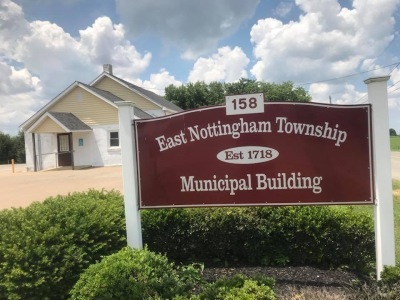 The 2019 mill rate for East Nottingham Township has been set at zero. Therefore there are no real estate taxes due for the township for 2019. County Taxes are collected by Chester County. Please contact the Chester County Treasurer for further information 610-344-6370. 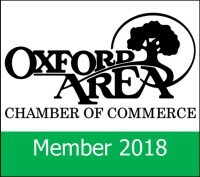 School Taxes are collected by Oxford Area School District. Please contact The Oxford Area School District tax office for further information 610-932-6612. East Nottingham Township has an Earned Income Tax (EIT) of 1%. The 1% EIT tax is divided between East Nottingham Township (.5%) and Oxford Area School District(.5%). The .5% EIT received by East Nottingham Township is used for the general operation of the township. On June 14, 2016 the BOS voted to increase the open space portion of the EIT from 0% to 0.25%. Beginning January 1, 2011 Keystone Collections Group will be collecting Earned Income Tax for East Nottingham Township and Oxford Area School District. As of January 1, 2012 it will be mandatory for Employers to withhold your EIT. Questions should be directed to Keystone Collections Group @ 1-866-539-1100. Contact the Township Tax Office by phone at (610) 932-7044. Recycling facilities can be found at the township building at 158 Election Road. In addition, information about the Chester County Solid Waste Authority can be found on their website here. *Recycle corrugated boxes, and high volumes of office paper separately. synthetic cords or metal to bind or plastic bags for packaging. For additional information contact SECCRA Landfill at (610) 869-2452. For alternative recycling information contact Chester County Health Department Recycling at(610) 344-5937.